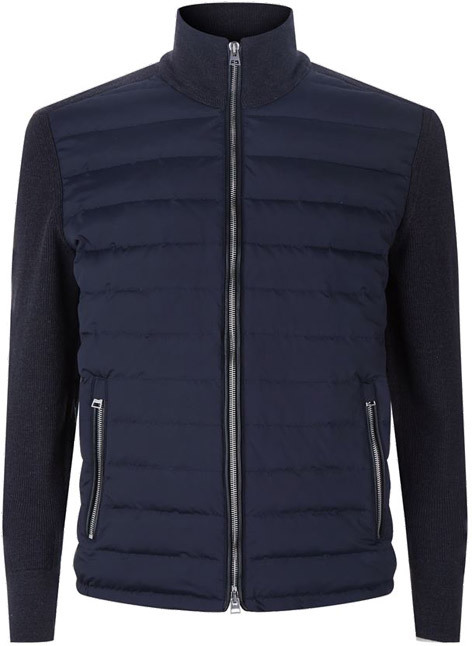 The navy blue nylon front jacket is now available on the Harrods website for £1490 and on MrPorter for $2865 / £1510 / €1965. The stylish sweater/jacket from Tom Ford has been luxuriously crafted with pure wool and boasts rib knitted design with a high-neck and two pockets, while a lightly padded quilted front adds extra warmth. 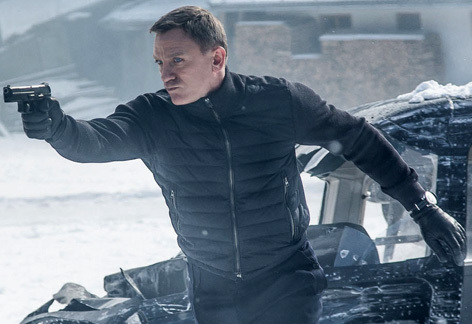 A blue version of the Tom Ford jacket or sweater, often referred to as the James Bond Sölden jacket, was worn by James Bond in the Austrian scenes of the film when he visits Madeleine Swann (Léa Seydoux) at the Höffler Klinik, and during the following chase. 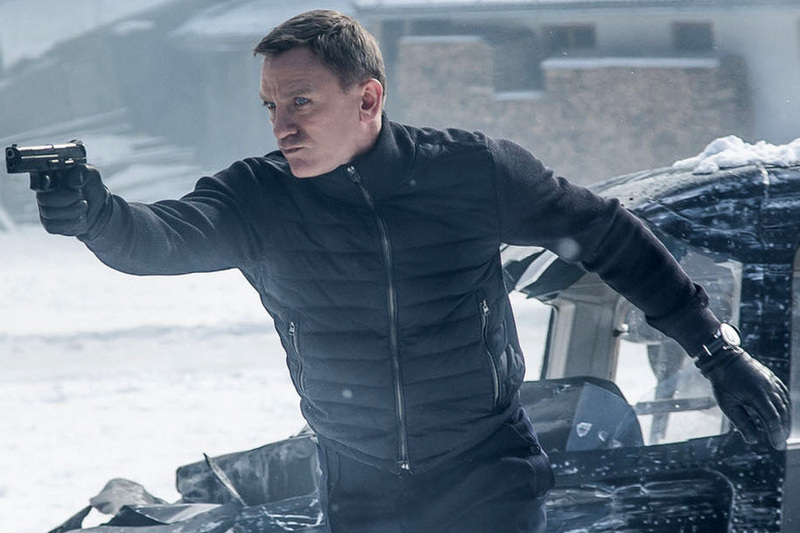 In the same outfit, Bond wears an N.Peal sweater, Agnelle gloves, Tom Ford trousers, Omega Seamaster 300, and Danner boots. He's yielding a Heckler & Koch VP9 gun and sporting vintage Vuarnet goggles. 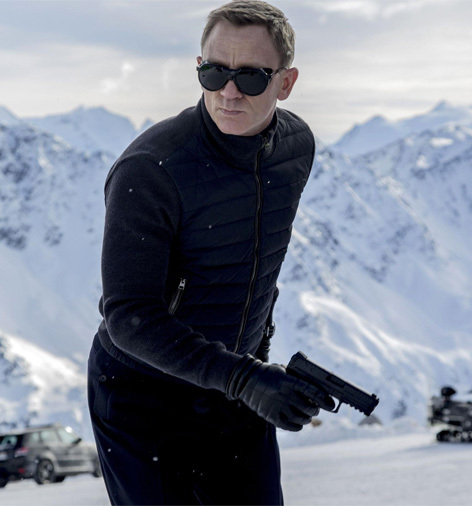 Tom Ford provided many of the suits, dress shirts, polo shirts, trousers, neckties, cufflinks and sunglasses for the movie SPECTRE. See a list of the Tom Ford products in SPECTRE here. The blue version of the Tom Ford quilted jacket sold out fast when the movie came out. Here's your chance to get the jacket at Harrods or MrPorter.